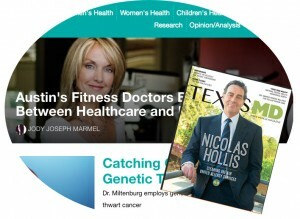 Featured in Texas MD: Austin’s Fitness Doctors Bridge the Gap Between Healthcare and Fitness. Actions do speak louder than words and Sarah possesses a strong bias towards exactly that, action. An accomplished innovative entrepreneur in the fields of medical rehabilitation, education, event planning, sales, sports medicine, fitness, health, personal training, sports conditioning, consulting and coaching; Sarah is energetic professional force with a proven consistent record of developing strategic initiatives and partnerships, relationships. She is revolutionary in her approach to business systems and the proof is in the results. She has a reputation of significantly growing and improving operations management, market share and profits. With over 15 years of diverse experience as a motivational sales trainer and educator as well as fitness entrepreneur, Sarah is taking it to the streets again with Fitness Doctors and the innovative post-surgical therapeutic fitness program, Fit Camp. Her expertise in medical exercise ranging from post surgical and post rehabilitation training, exercise physiology, kinesiology, athletic sports conditioning, sports medicine, disease management, to traumatic brain injury and stroke has well prepared her for her latest fitness venture. Fitness Doctors is the everything Sarah has learned from the past and everything she looks forward to for the future in fitness and exercise. She lives to inspire others to be the best they can be and truly embraces the importance of healthy mind and body through guided and comprehensive exercise and training with proper form and technique to keep your body fit and fabulous. Specialties: Significant experience in relating to marketing, event planning and strategy, trade shows, vendor organization and business development issues with a focus on the Medical Education and Training Sales Teams, Healthcare Marketing, Corporate Brand Management, Integrated Marketing Strategies, Project Management.